USB to CAN Converter with free software setup utility. Supports Operating Temperatures between -25 to 75C. I-7565 is a cost-efficient device for coupling the CAN-bus to the PC using the standard USB interface. The I-7565 Utility tool can be used to configure the operation conditions between the CAN and USB port communications. Serial bus system suited to support intelligent industry device networks and build smart automatic control systems. The I-7565 is a cost-efficient device for coupling the CAN-bus to the PC using the standard USB interface. USB interfaces are now standard in PC's and are supported by the MS-Windows 98, Me, 2000 and XP operating systems. I-7565 supports hot plug and play. The PC automatically loads the relevant device driver. The following illustration shows the application architecture for I-7565 modules. The PC can be the CAN host, monitor or HMI to access/control the CAN device through the CAN network by the I-7565 Converter. This module let you to communicate with CAN devices easily from PC with USB interface. 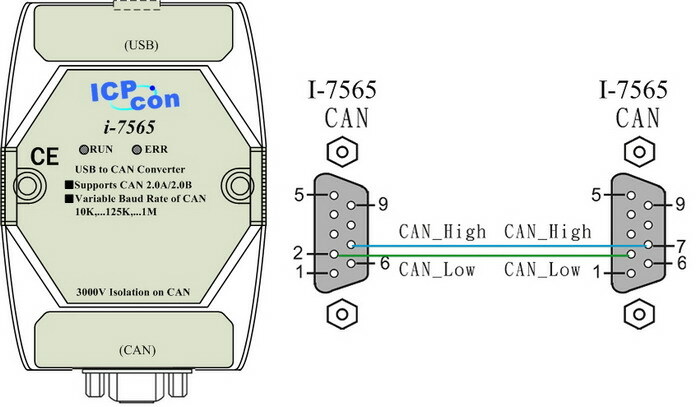 The CAN port of I-7565 has 3000V isolation. 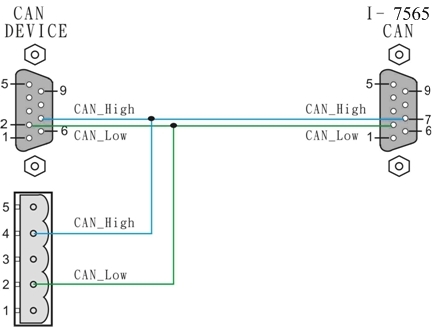 This isolation can protect the local devices from the damage signal coming from CAN network. The I-7530 Watchdog is a hardware reset circuit to monitor the I-7565’s operation status. In harsh or noisy environments, many devices are disrupted by the external signals. The circuitry in I-7565 allows it to work continuously despite the harsh environment. The power indicator can help user to check whether the I-7565 is standby or transmitting/receiving messages.